This straightforward manual of techniques and practices of mysticism is all you need to quickly and easily attain inner peace, prosperity and spiritual freedom. 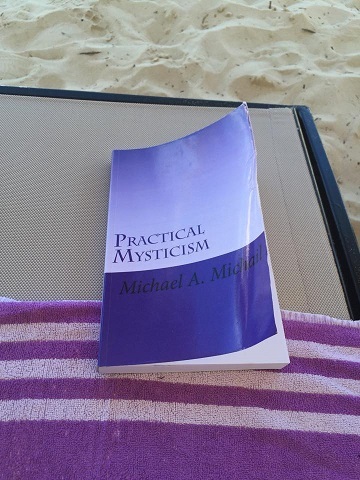 Whether you are an experienced mystic or someone new to the path, this book can give you a profound, new understanding of the key elements of the mystical sciences by teaching you exactly how to put those elements into practice in your own life. This is a book of PRACTICAL mysticism – not theory, history or analysis. Chapters fully explain the use of prayer, intuition, natural spiritual power and visualization to attain the life you really want. The core mystical activity is meditation and the clear, simple, step-by-step approach offered here can get you meditating effectively right away with further detailed instruction on building up your practice over the years. These are the tools you need to improve your life and achieve the mystic’s goal of self-realization. Available across the AMAZON Universe.